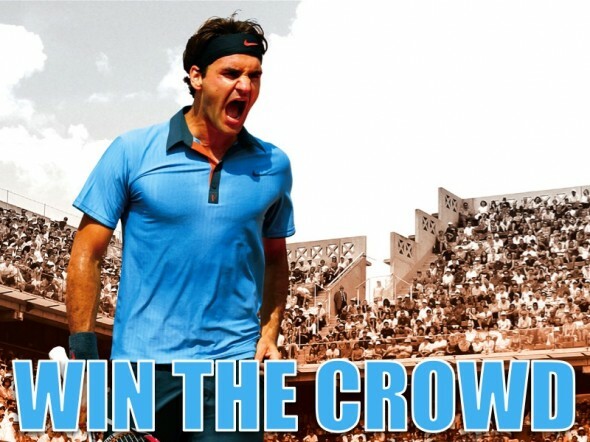 What Makes Federer So Great? 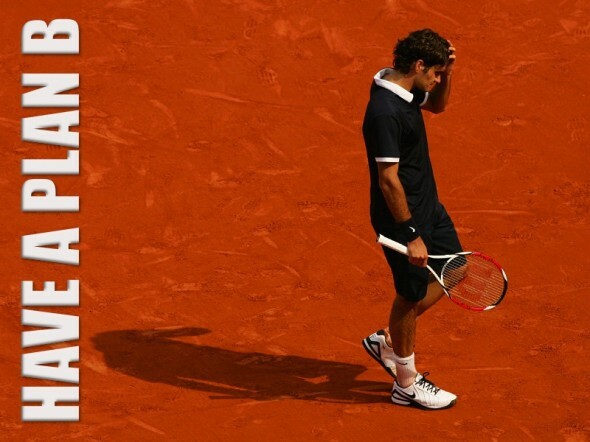 Roger Federer is arguably the greatest tennis player to have ever picked up a racket. But in the competitive world of tennis, supreme talent is not enough. 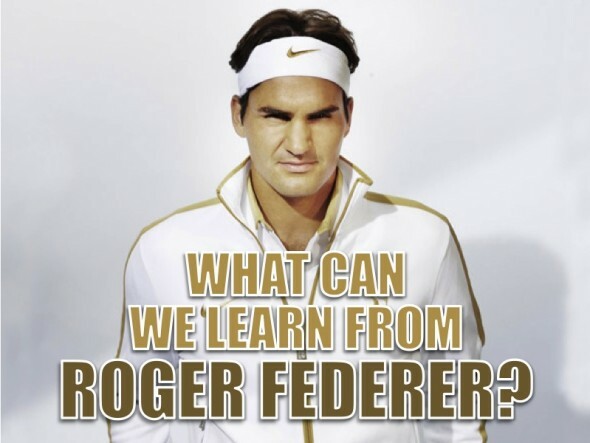 You need more, and Federer has figured out how to consistently achieve extraordinary results. Roger Federer is a master at winning the support and affection of the crowd. He knows how and when to get them excited, which helps him to raise his game. When you have the audience on your side the delivery of your presentation becomes infinitely easier. The best way to win the crowd over, is simpler than you think: just give them what they want. If you always think about your presentation from your audience’s point of view and build your presentation around them, your results will sky rocket. For example, when developing slides, ask yourself: What do your audience want to see? Do they want a long or short presentation? Do they want to be entertained or just informed? Do they want to see visuals or facts? The more time you spend thinking about your audience and the more you give them what they want, the more success you will enjoy. 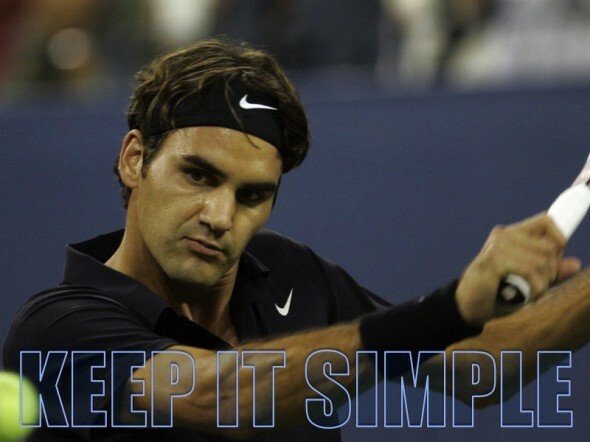 It helps if you have every shot in the book, and Roger Federer has mastered every one of them. One of the defining traits that sets Federer apart from the rest of the tour, is his ability to keep it simple and play the easy drop shot when it’s required. When designing and delivering slides, presenters often make the mistake of trying to overcomplicate the message. If your new mantra is ‘Keep It Simple’ you will find that you produce presentations in less time, your audience will gain a clearer understanding of your messages and ironically, you’ll be able to achieve more by doing less. 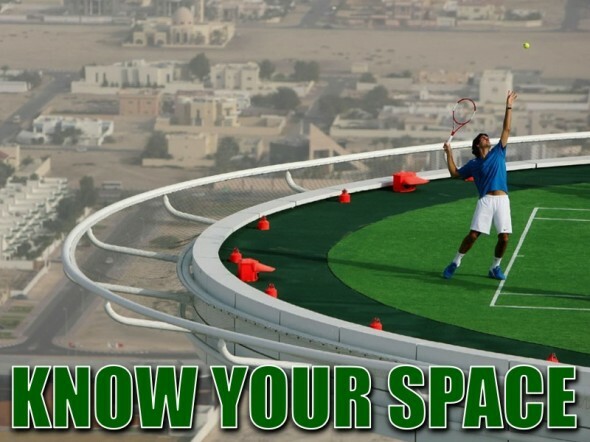 Not only is Roger Federer one of the physically fittest and most flexible players on the tour, but he has developed a game that allows him to vary his style depending on match conditions, his opponent, the court surface and the scoreline. 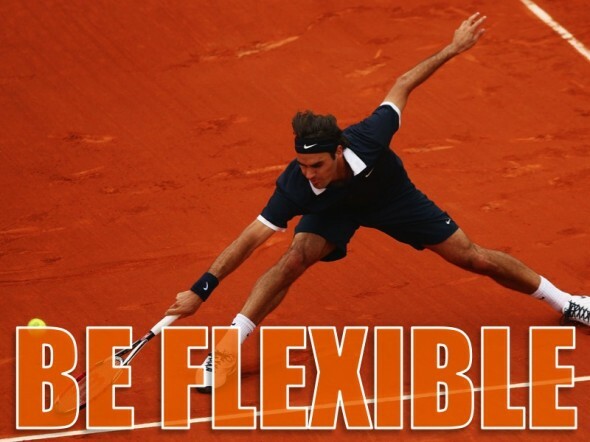 Keeping a flexible approach allows him to adapt his game and achieve the optimum result. Always be prepared to adapt your presentation to suit the conditions and the audience you’re delivering to. The more flexible you are, the easier it will be to deal with interruptions, handle objections and adapt your approach according to the circumstances you find yourself dealing with. The more time you spend planning and preparing for your presentations, the better the likely results. Taking time to think through every detail will ensure that your slides are the best they can be, and that you are fully prepared for the task ahead of you. 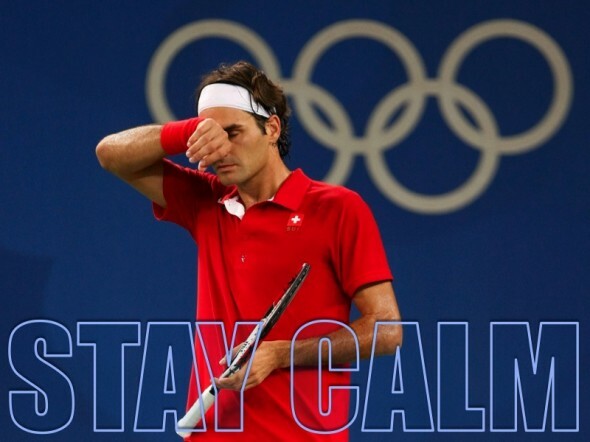 Whether serving for the championship or facing match point, Federer stays calm, keeps his cool and maintains his temperament. This eliminates fear, worry or negative emotional intensity which may otherwise hinder his progress and result in defeat. Nothing is mor unerving than a presenter who loses the plot. Like American Idol, the audience finds it hard to relax and enjoy the performance when the presenter is a nervous wreck or excitable like a child. Whether it’s clay, grass, all weather or indoor courts, Federer is among the best at adapting his game to suit the conditions. He knows his game inside out, which breeds confidence and fuels inner belief in his abilities to perform., and allows him to play with conviction, assurance and authority. The more familiar you are with your material and the subject, the more confident you will feel and the more credible you will seem to your audience. Knowing the environment where you will be presenting is also key. Will you be stuck behind a podium or be free to move around? Will you be presenting from a laptop, projecting onto a screen or displaying from a plasma screen? 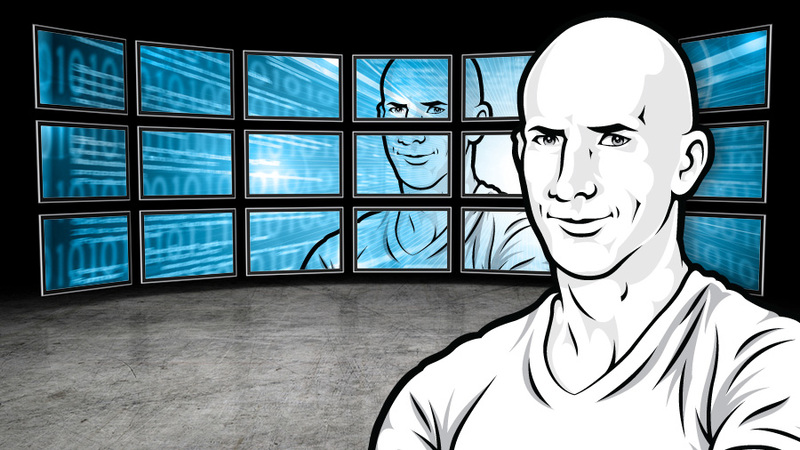 And never forget the story of the presenter who showd up with a projector, only to discover the meeting room had four glass walls! When things starting taking a turn for a worse on the court, Federer has the ability to switch his game and come up with something special. If things’s don’t go according to plan, he implements Plan B. But this is only because he has planned for all eventualities, and knows how to respond when things go south. Disaster can strike at any time. What is your backup plan if things fall apart? If you have a hostile audience are you ready to handle their objections? If you have an electrical failure what will you do? What happens if more people show up than you had anticipated, or if only half the group appear? Anticipating and preparing for these unexpected things helps you to stay in control, and prepare for the unlikley event that something goes horribly wrong. The more prepared you are, the more confident you will feel and the more professional you will appear as you handle any situation with aplomb. Nobody is too big to reeive feedback. 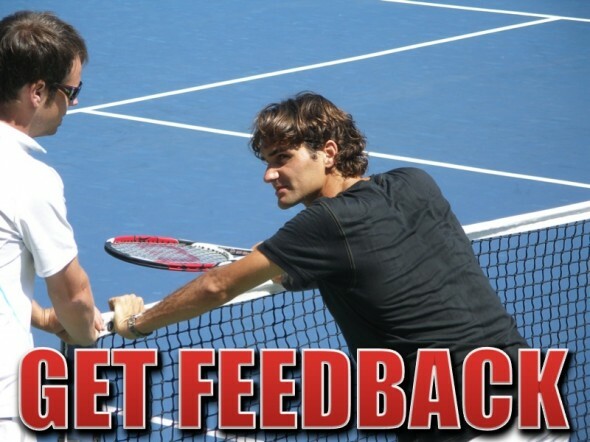 Roger Federer hires the best coaches and surrounds himself with a team of advisors who offer helpful advice and instruction on how to improve his game and perform at his best. As a general rule, every presentation must be reviewed by at least one other person before it’s sent out or delivered. Constructive feedback is essential to identify any weakness, clutter, surplus information, flaws, errors or gaps that need to be filled. Receiving positive feedback will also give you confidence and highlight the strongest aspects of your presentation. 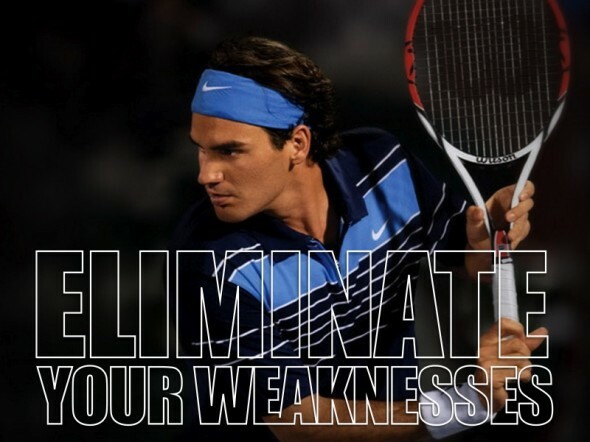 Early on in his career, Federer’s opponents figured out how to defeat him. They avoided hitting to his deadly forehand and went after his weaker side, the backhand. 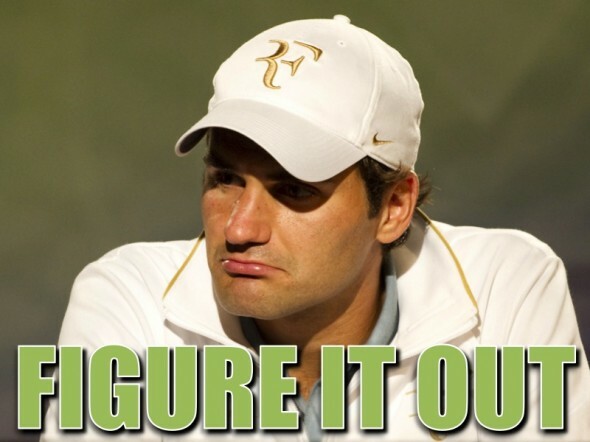 So what did Federer do? He turned his weaker backhand into a deadly weapon. When it comes to designing and delivering your slides, what are your weaknesses? As a general rule, it’s always a smart move to stick to what you’re good at, and find ways to flourish by focusing on your strengths. If you don’t have knack for delivering a punchline, then trying to inject humor into your presentation might not be good for you. If you happen to be a good storyteller, then finding ways to incorporate stories into your delivery may help you to get your message across. Either way, if you can find ways to eliminate any weaknesses, then you become free to enjoy your presentation more. 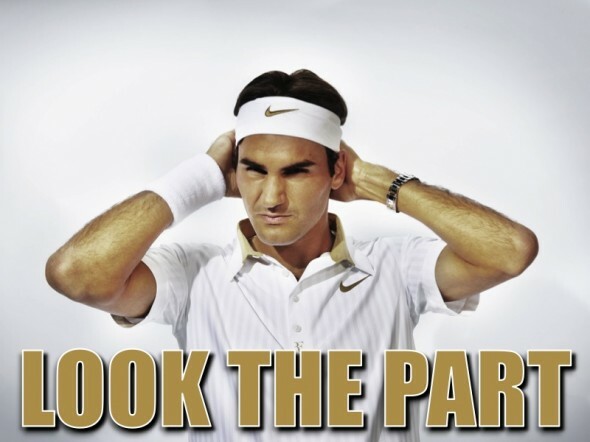 Federer is always well turned out, and dressed immaculately. He never leaves anything to chance. He plays like a champion and looks like a champion. Do you take time to think about what you’re going to wear for your presentations? You don’t have to hire an advertising agency to create a personal brand for you or be sponsored by Nike, but you do need to make the most out of yourself, and look your best for each occasion when you present. Insightful info.. I will take some time to entertain the points! Good day” i am doing research right now and your blog really helped me. Hello, you used to write excellent, but the last few posts have been kinda boring… I miss your super writings. Past several posts are just a bit out of track! come on!”In politics stupidity is not a handicap.” by Napoleon Bonaparte.